Google Docs Lets You Upload Longer Files ! 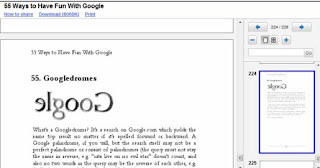 It is time for Google to keepview-ms-office-documents-as-html-in-gmail/"> improving its features. In such a way, Google Docs has removed its limitations. Therefore, earlier only first 100 pages of the uploaded PDF files will be displayed, but now you can upload the how-to-get-email-alerts-whenever-anyone-edits-google-docs-form/">longer documents as long as the size is lesser than 10MB. Another major change in this is, you can uploadhow-to-edit-pdf-properties/"> more than 100 PDFs, but we don’t know about new upper bound. 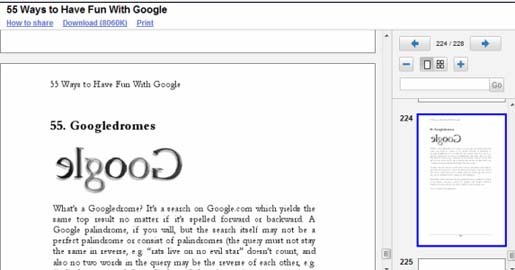 The viewer is used when you upload view-ms-office-documents-as-html-in-gmail/">PDF files in Google Docs or when you click on a PDF attachment in Gmail. It works by converting the pages to PNG images and it has advanced features like zoom, search and textgmail-brings-enhanced-settings-for-imap/"> selection.